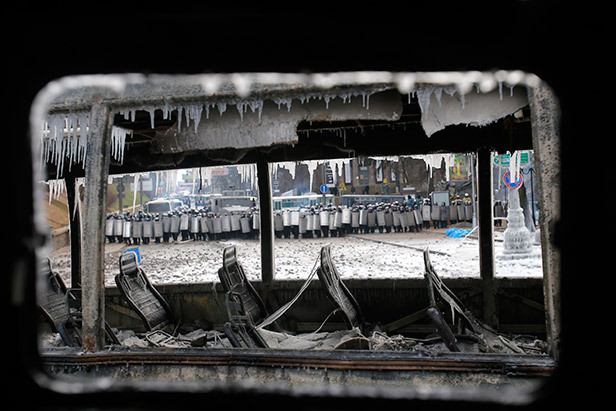 After two months of peace rallies Ukrainian protests turned violent. The standoff at the streets of Kiev is accompanied by a war of nerves between President Yanukovich and a sportsman-turned-politician, former heavyweight world boxing champion Vitaly Klitchko, who was the first opposition leader to meet face-to-face with the president. International peace conference Geneva-2 aimed at resolving Syrian crisis kick-started in Switzerland after months of shuttle diplomacy, evoking hopes and skepticism both. Russia regretted last-minute withdrawal of Iran’s invitation calling it a mistake. Iran announced it has halted its uranium enrichment centrifuges while US and European Union eased some of the unilateral sanctions imposed on Tehran as a first step to make a landmark nuclear deal a reality. Russia signaled it can go even further in upgrading business ties with Tehran in a move that can make her the biggest buyer of Iranian oil.